This is a digital painting I created for a commission. 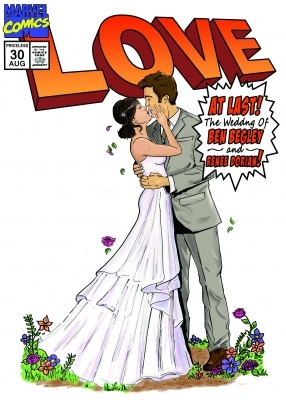 The bride and groom wanted to be transformed into a comic cover for their guests to sign. This is based off of a marvel cover of Jean Grey and Cyclops.